Lineup changes everywhere! Is it in the water? Zonbi will also be seeing a vocalist change. Vocalist atom has left the group as of June 13 and the group have been touring with a mysterious support vocalist known only as Kansensha no K-san (Infected K-san). On June 23, K-san was officially added to the lineup, though his true identity will remain secret until their live on August 1 at Ikebukuro EDGE. I’m intrigued. Are you? SAKURA announced at their one-man on June 18 that they will also be losing members. Guitarist Chihiro and Drummer Takahiro will depart after their performance on August 10. It seems the pair had a different idea about where the band should go and just couldn’t continue with the group as it was. SAKURA seems to be taking it in stride, though, announcing their first anniversary one-man at Tokyo’s International Forum Hall C, a 1500+ capacity venue. Now, for some better news. Last week, we reported on HOLLOWGRAM vocalist Ryo being injured in a car accident. It seems his surgery went smoothly and he is expected to return to the stage as scheduled. Depending on his recovery, some of the performances may be done differently to compensate for his injuries, but I’m sure he’ll be back to 100% in no time. Gonna be in LA this weekend? Make sure to hit up Anime Expo and check out Dir en grey drummer Shinya as he graces the catwalk for h.NAOTO. He will also be participating in a Q&A session with the designer. The convention takes place July 2-5 and tickets are currently $80 for all four days, but go up on July 1. Neo-traditional band WAGGAKI Band will also be performing, so this is an event not to be missed. And, that’s the Quickie. Hasta la pasta. 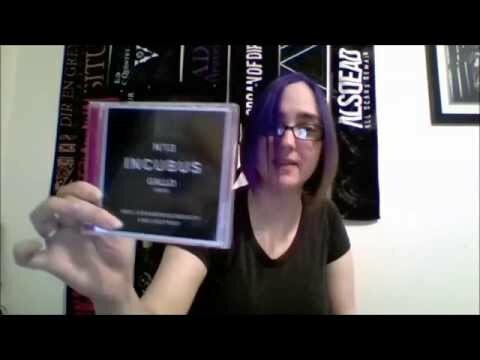 I recently received GALLO’s newest single, Incubus, and DAMN is it awesome! Check out the video below to hear all about it! Kind of a slow news week this week, but some really exciting stuff!